What Is There to Say About Driven Miami? Book a luxurious limo service near my location provided by Driven Miami team of experts, and learn what it means to enjoy an easy-going experience accompanied with an ensemble of professional chauffeurs driving the freshest cars this fleet has to offer, fantastic customer service and great rates. Why do I need a Limo near and far from Miami? 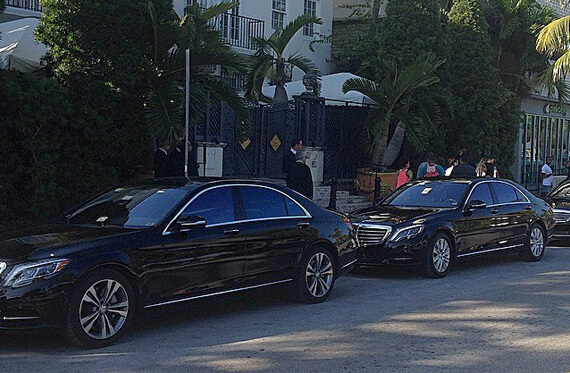 Let us arrange a perfect Miami luxury ride for you and you’ll see why. When you travel with Driven Miami, you can trust the most competent team of travel professionals to cover every detail of every mile of the way. Once you see with which care and attention you’re tended to, there’s no going back! Use Voice Search on your smartphone and issue a “limousine near me” command to have us show up at your doorstep. Call (305) 898-4315 and let’s see how can Driven Miami be of service to you today, tomorrow, or any other day of the week! Meeting client preferences and customizing each ride to agree with the clients’ expectations is a given. No matter if they book us on hourly or point to point basis, the nearest limo company in Miami is not afraid to go all out with your good times in mind. So don’t be shy, tell us where you want to go! Rely on us when it comes to luxurious rides to the hottest and most sought-after venues, sightseeing, getting tickets to concerts, arts, entertainment, and sports events, recommending the best restaurants and nightlife. Let us act as your Personal Assistants in the Magic City – you won’t regret it for a second. Literally anywhere! In case you’re looking for the best way from Boca Raton to Key Biscayne, remember that a fully licensed, insured professional and reliable chauffeur service company is always nearby! The same goes if you’re wondering how to get from Miami Beach to West Palm Beach, a wide selection of four-wheelers with skilled drivers behind the wheel will gladly show you the way! You don’t have to look up how many miles are there between the airport and the seaport, the team of logistical specialist working at Driven Miami already did that for you! Enjoy the latest luxury car models of this this prestigious fleet. You’ll love using our Miami car service near you!